Youth Opioid Use Declines, But Researchers Caution There Is A Long Way To Go : Shots - Health News A pair of long-term studies found fewer children and teenagers are coming in contact with opioids, and that hospitalizations from the drugs are down. The same is not true for adults. A pair of studies show declines in opioid use by young people, including prescription use, intentional misuse and accidental poisonings. Though it gets less press, the opioid epidemic has been hitting teens and children hard, with hospitalization rates for opioid exposures nearly doubling for teens and more than doubling for kids under 5 between 1997 and 2012. But family members' opioids are a major source for youth who use them, and opioid prescriptions have been decreasing since around 2011, reducing youth access to the drugs, noted both studies' authors. "It is our hope that these declines are due to careful prescribing practices and enhanced monitoring of prescription opioids among adolescents that will eventually translate to a reduction in negative opioid-related consequences, such as overdoses," says Sean Esteban McCabe, the lead author of one of the studies and a research professor at the University of Michigan Substance Abuse Research Center. "We're not out of the woods yet, but it's starting to look positive," says Sharon Levy, the director of the Adolescent Substance Abuse Program at Boston Children's Hospital, who was not involved in either study. The studies were both published in the journal Pediatrics. They were funded by the National Institutes of Health and the Centers for Disease Control and Prevention. One study analyzed data from the National Poison Data System on all 188,468 prescription opioid exposures reported for youth under 20 years old between 2000 and 2015. Nearly all the exposures occurred at a home and were most common among children under 5, accounting for six of every 10 cases. Those children typically got medication that had been improperly stored or was in a purse. Teens made up another three out of 10 exposures. Decreases in opioid exposures occurred across all age groups, including a 31 percent drop for teens from 2009 through 2015. The authors said that a 2009 CDC initiative to reduce accidental medication overdoses in children, and the 2014 classification of hydrocodone combination products as schedule II drugs by the Drug Enforcement Administration may be factors in the decline. However, exposure to one opioid, a drug called buprenorphine that is used to treat both pain and opioid addiction, increased among young children during the last three years of the study. The drug can cause respiratory depression in children, explains Henry Spiller, director of the Central Ohio Poison Center at Nationwide Children's Hospital and a co-author of the study. "Some parents may not think about [buprenorphine] as being as bad as heroin or hydrocodone, and [are not] as careful with it," Spiller says. As an orange-flavored strip that melts in the mouth, the drug can be attractive to children who are in an exploratory stage, he says. "We're seeing a striking number of these kids ending up in the [emergency room]." Buprenorphine nonetheless remained a small proportion of overall poisonings, which were caused mostly by hydrocodone. The study also found that teens, despite the declines in overall opioid use, still had more than twice the odds of hospital admission and triple the odds of serious medical problems from opioids than children under 5. Unlike young children, most teenagers who ended up in the hospital after taking opioids ingested the drugs intentionally. The other study, which examined opioid use among older teens from 1976 to 2015, echoed some of these findings. It also provided context about trends in opioid use among high school students using a nationwide annual survey of high school seniors from approximately 135 public and private schools. The survey asked seniors whether a medical doctor had ever prescribed them opioids, and how many times they had taken prescription opioids without a doctor's instruction. The question listed possible opioids according to their varying availability over the years, including Vicodin, OxyContin, Percodan, Percocet, Demerol, Ultram, methadone, morphine, opium and codeine. One limitation of the survey was that students who were no longer in school or were absent on the survey day were more likely to have substance use behaviors, the authors noted. About a quarter of all seniors surveyed had used opioids at least once for any reason, but responses showed an ebb and flow of use over the decades, ranging from 16.5 to 24 percent over the 40 years. Medical use of opioids always remained slightly more common than non-medical use, which includes recreational use as well as pain relief without a doctor's guidance. In general, the study showed, overall opioid use among high school seniors rose in the 1980s, declined in the 1990s and increased in the early 2000s before starting to decline again in 2013. Prescribed medical use of opioids nearly always preceded non-medical use in teens — rarely vice versa — and about a third of recreational and other non-medical use by teenagers included leftover drugs from their own past prescriptions. The opioid epidemic arose from overprescribing the drugs to everyone, not just teens, so Levy says she encourages families to properly dispose of drugs from past prescriptions. "The biggest problem is the reservoir already out there sitting in the community," she says. That reservoir of prescription pills varies for teens of different races, the study found. White students were more likely than black students to receive opioid prescriptions from a physician, and to go on to use opioids non-medically. The authors noted the disparity was likely linked to a more general lack of access to health treatment among black teens, or a specific under-prescription of appropriate pain management to that group. When black students did use opioids non-medically, it was usually for pain relief. Like any good research, both studies prompt more questions than they provide definitive answers, says Pamela Gonzalez, a pediatrician and assistant professor of psychiatry at the University of Minnesota who was not involved in either study. "If opiates go down in part because of access, what's happening with heroin? With methamphetamines? It's never an isolated issue with kids," Gonzalez says. The biggest question, she says, is what medical and public health communities are doing right, especially since opioid overdose deaths among adults don't show the same declines. They nearly tripled from 1999 to 2014, according to the CDC. "It's more difficult to figure out what we've done to make something go down than what continues to perpetuate a problem," Gonzalez says. And, despite their good design, the studies remain limited in what they can show, Gonzalez says. They reveal trends, but not the why or how of those trends. Gonzalez was impressed, however, with how both studies' authors interpreted the findings, emphasizing caution rather than unbridled optimism. 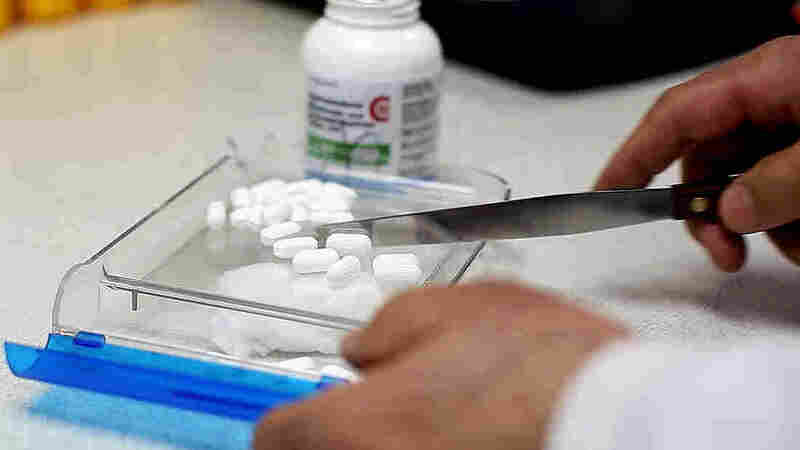 Their recommendations about how to continue the downward trend include screening young people for mental health conditions and opioid or substance use, prescribing low-dose, short courses when opioids are necessary and discussing risks, benefits, proper storage and disposal of the drugs with patients. "Any time we look at trend data, there's a tendency to focus on the positives and continuing problems can get overlooked," Gonzalez says. "The authors were really thorough in trying to thoughtfully parse what some of these results mean and not giving us reassurance. It's a call to action."